The old, reclaimed, barn wood look is decidedly awesome. 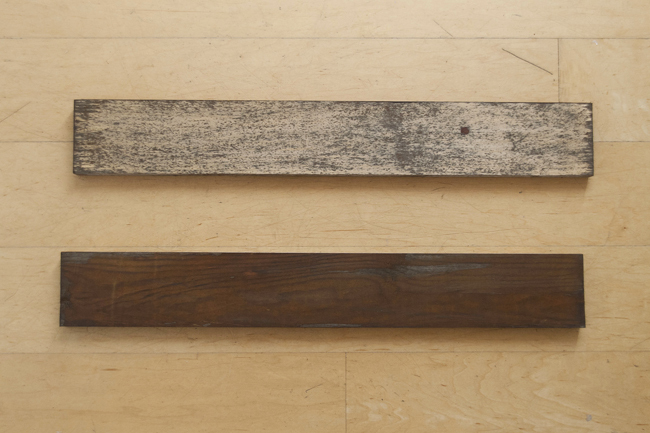 There's something very special about incorporating a piece of old wood with its own history into your modern design! 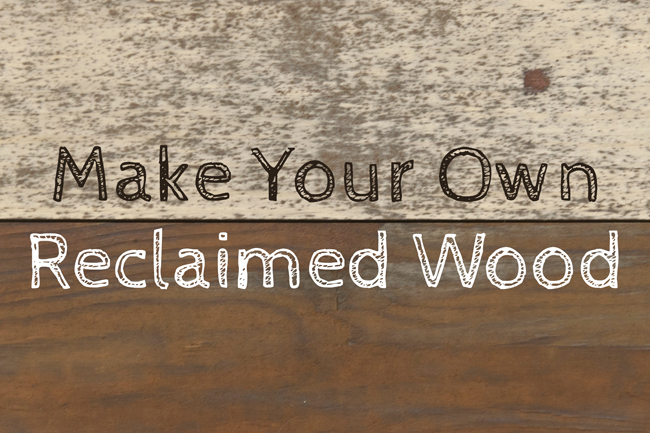 Unfortunately, reclaimed wood can be expensive or a little hard to come by. What can you do in a pinch? I first saw this technique for making your own faux reclaimed wood on Our Adventures in Home Improvement - an incredibly sweet blog! I couldn't wait for the chance to try it, so when I needed some extra old wood for a project with these vintage crates, I jumped on the chance! Since my results were a little bit different, I thought I would share my own version of the tutorial. For a more complete idea of the possibilities of this technique, you should also check her tutorial out. *The kind of wood you choose will make a huge difference in the look of your faux reclaimed wood! I tried douglas fir and got a worn grey look. The same was true for the fence wood used on Our Adventures in Home Improvement. The pine in this tutorial ended up looking more red. 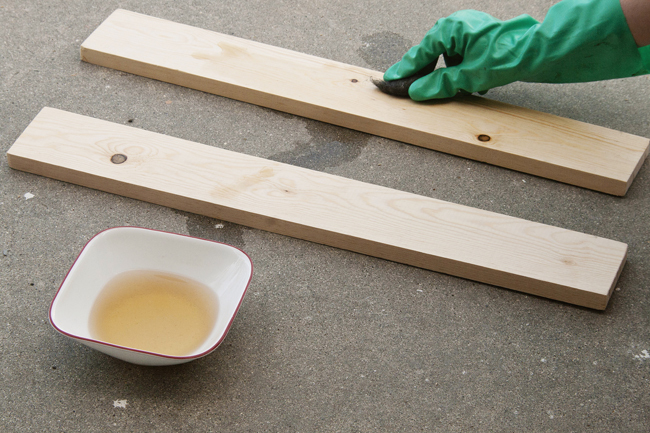 Avoid wood with any kind of pre-treatment because it will not absorb the apple cider vinegar!! 1. 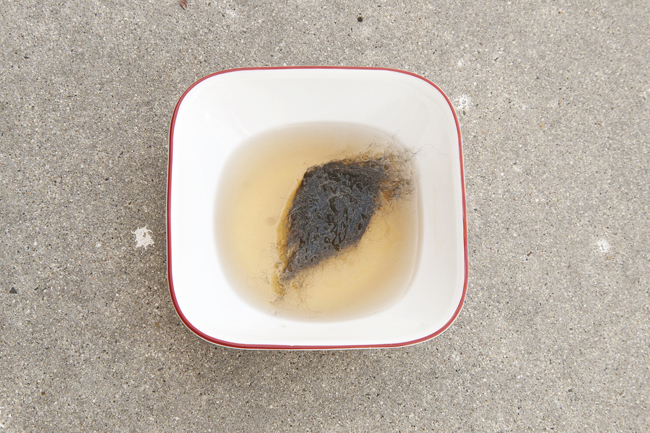 Soak your steel wool in the apple cider vinegar. I gave mine about a half hour to soak. 2. Using gloves (because the vinegar stinks and the steel wool can give you splinters!) 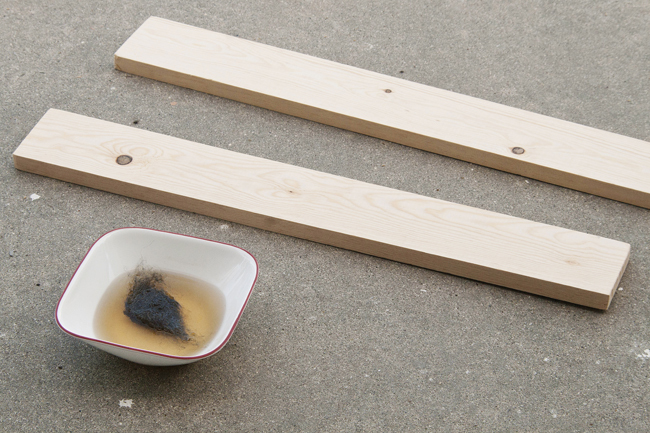 use the steel wool to scrub your wood with liberal amounts of apple cider vinegar. Apply more coats until you get the look you want. The top board in the photo above was the result of just one coat of the apple cider vinegar on my pine plank. The bottom board shows the result of three coats each about 8 hrs apart while the steel wool continually soaked in apple cider vinegar. Pretty nice results eh? Instead of desperately hunting for free/cheap old wood or paying out the nose for reclaimed wood from a lumber yard, make your own!